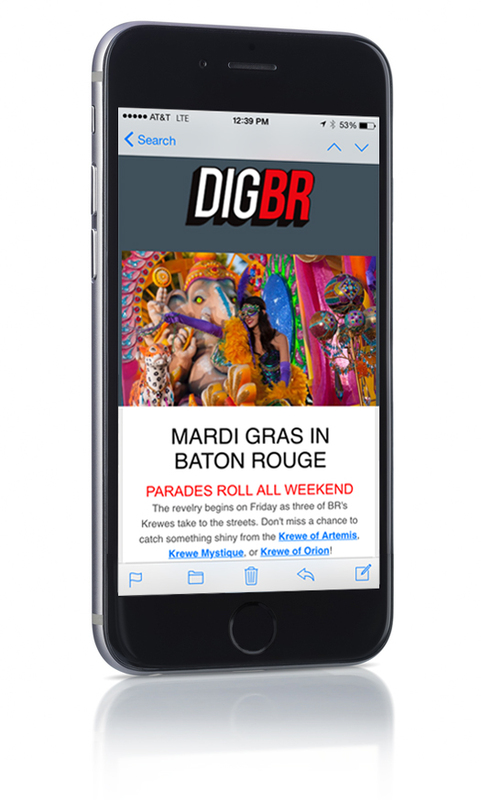 DIGBR.com is quickly becoming the must-watch website for people who don’t want to miss a thing happening in Baton Rouge. It’s fast, curated and delivers your brand to audiences on-the-go. 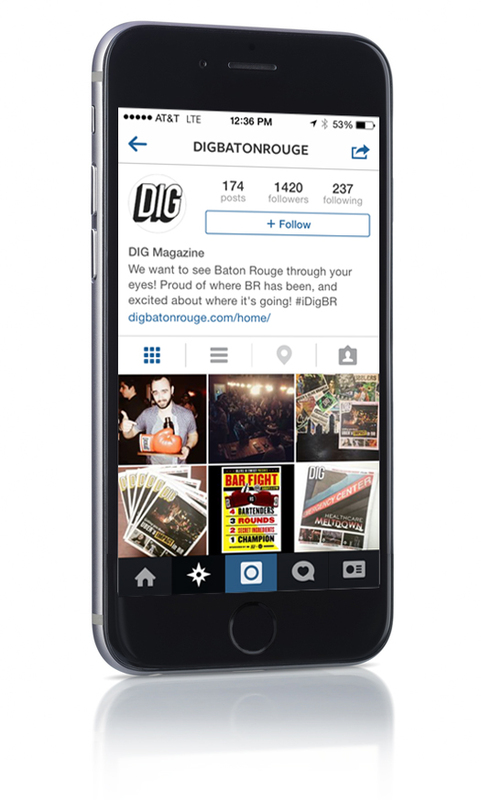 It’s the digital home for DIG Magazine, Restaurant Week and all our cool events. 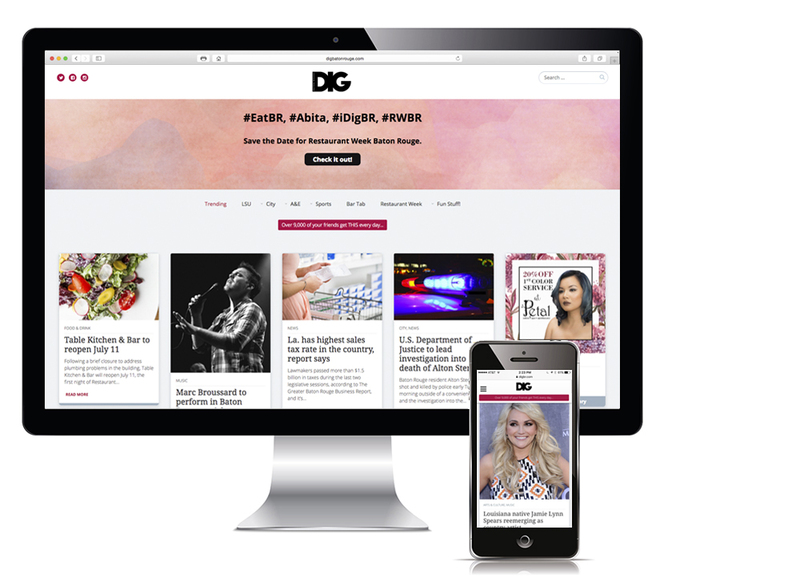 Our online audience mirrors those of our magazine – young, active consumers. They are on-the-go and look to DIGBR.com for information, reviews and things to do. Reach more than 11,000 subscribers with our weekly email. As low as half a penny per user!